Multi Directional ring top for ropes. 3 Rope colours available Red, Black and Blue. 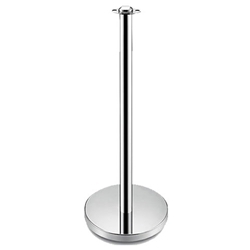 Size: 38mm pole and 300mm base. Overall Height is aprox 840mm.